21 year old Marilyn Ramos from Pretoria, Gauteng won the prestigious title of Miss South Africa 2012 during a glamorous pageant took place on December 9 at the Sun City Superbowl and aired live on Mzansi Magic on DStv. 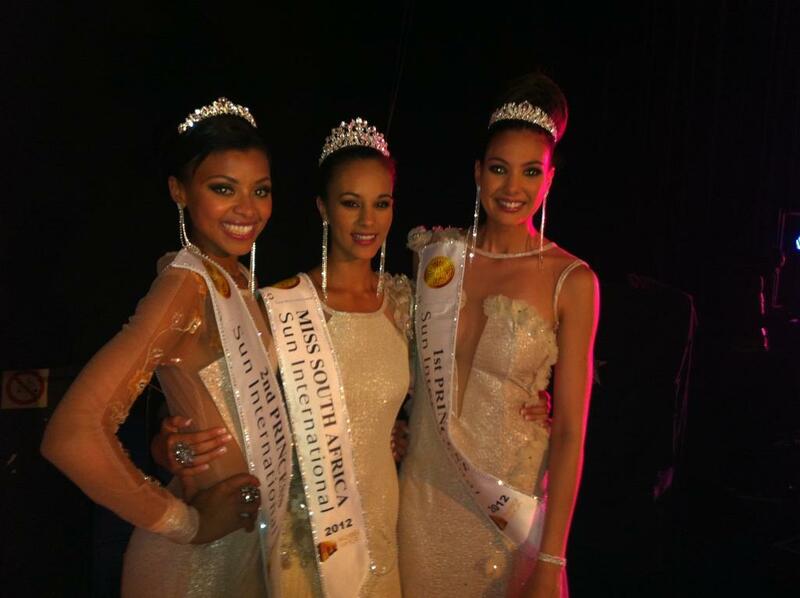 Handing over the filigree silver and Swarovski crystal crown was last year's runner-up Remona Moodley. Marilyn stands 5'9" tall and currently studying Interior Architecture at Inscape Design College in Pretoria. She will represent her country in next year's Miss Universe 2013 and Miss World 2013 competitions. 1st princess was 23 year old law student Stacey Webb from the Western Cape. Twitter favourite Pearle Nxele was crowned 2nd princess. The social media network's other darling Koketso Modiba from Gauteng didn't make it into the top five finalists. 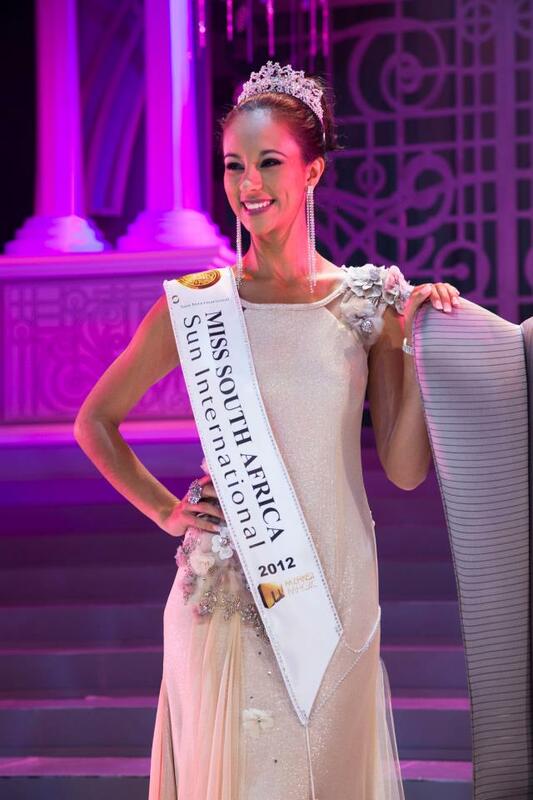 Awarded as Miss Congeniality was 19-year-old Danelle De Wet from Western Cape. Hosting the event were former Miss South Africa Jo-Ann Strauss, TV presenter and former contestant Bridget Masinga Khanti and Channel O video jockey Lungile Radu. ChianoSky, the Bala Brothers, Jacques Terre'Blanche, Zakes Bantwini and Toya DeLazy were invited as the guest performers. The panel of celebrity judges were former Miss South Africa and principal judge Sonia Raciti-Oshry, Cape Talk and Talk Radio 702 talk show host Kieno Kammies, Metro FM sports anchor and TV presenter Robert Marawa, radio presenter Anele Mdoda and actress Sonia Sedibe.